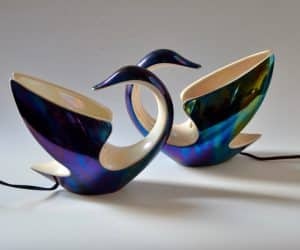 These fabulous mid century lamps are by the French pottery, Verceram, a company that perfectly captured mid century style in France. I first set eyes on Verceram pottery when I moved to France, and was immediately struck by how different it was from other 1960s ceramics I knew. With its bold contrasts and groovy shapes, it might have come from another universe. In fact, it came from closer to home. The factory was in Montreuil, not far from Paris, and the owner/designer was a Monsieur Caux. It was in business from the 1940s until 1971 – broadly speaking, les trente glorieuses. When it closed, Fourmantreaux & Dèsvres reportedly bought up the moulds and continued production for a short while. As for Verceram, it left behind no archives and quite a few questions. In the early years, Verceram made pleasant if conventional pottery, enamelled in green or red. Then, in the 1950s, designs went upbeat. Colours got brighter and shapes became abstract and sweeping. 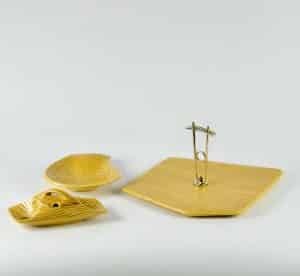 This ’50s Verceram tableware in mustard would still cut a dash on any table! But it was the 1960s that Verceram really developed its own, unique style. 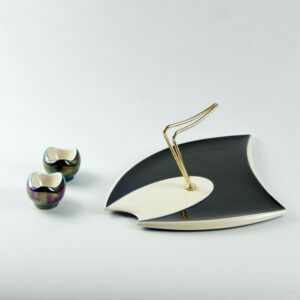 First came a range of iridescent glazes in groovy, avant-garde shapes that played with contrast and lines. 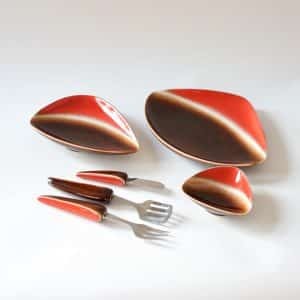 These were joined by a range of sleek red and brown pieces, in a real foretaste of the 1970s. Verceram pottery was made for the domestic market, so it’s rarely found outside France. If you’re lucky, you can still pick up inexpensive tobacco jars and vases at French brocantes and antique fairs. Expect to pay more for scarcer pieces, which are keenly sought by collectors. Today, lamps are among some of the rarest Verceram ceramics. 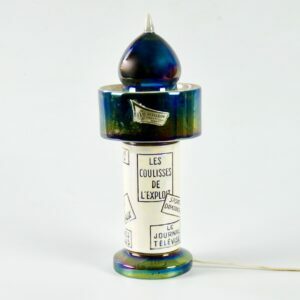 They were made in a range of abstract and figurative shapes, including this ultra-rare Morris column table lamp, an appealing souvenir of Paris – if you can find one. 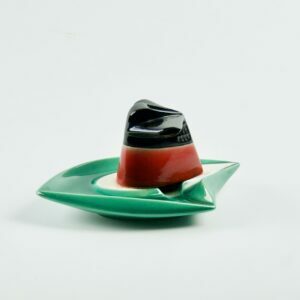 One of the most collectible items is this sweet‘smoking’ ashtray (and, yes, it really does smoke). It was made in small numbers and sold on board the luxury ocean liner, the France. That touch of ocean liner history makes it a very engaging little object. Most Verceram are signed with the V-in-a-circle trademark, but these rare fish ashtrays have a mystery signature. They’re far too nice to flick ash into them, don’t you think? 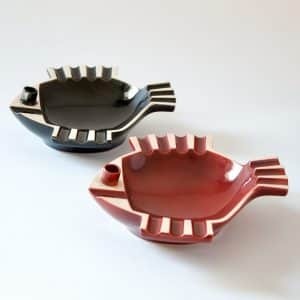 In the 1950s, 60s and 70s, few ‘modern’ French homes were without a piece of Verceram art pottery. But the sheer daring of the designs also contributed to the factory’s downfall. Tastes were changing and the once-startling shapes began to seem ho-hum and old-fashioned… until now, that is. 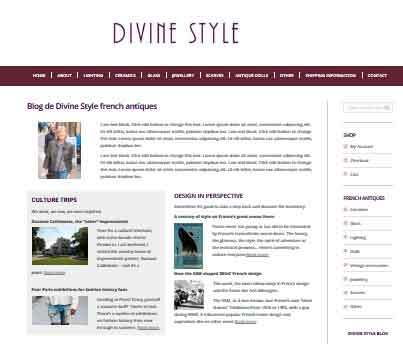 Where do antique dealers buy their ‘stuff’?